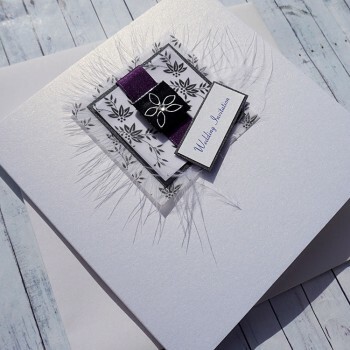 Handmade Wedding Invitations - Classic Fold "Eden"
Our Eden Wedding Invitations range is a stunning design in black and white, with a satin ribbon chosen to match your own colour scheme. The black glass tile is hand painted with a silver daisy and embellished with a Swarovski diamonte in your chosen colour. 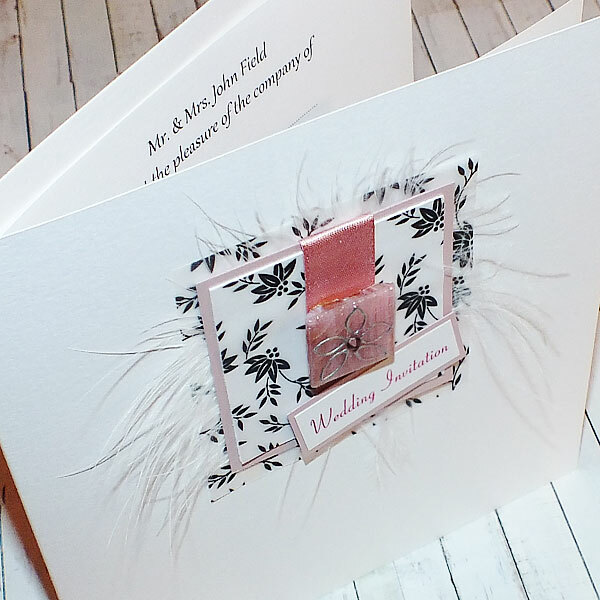 A black marabou feather adds a touch of elegance to the invite design. 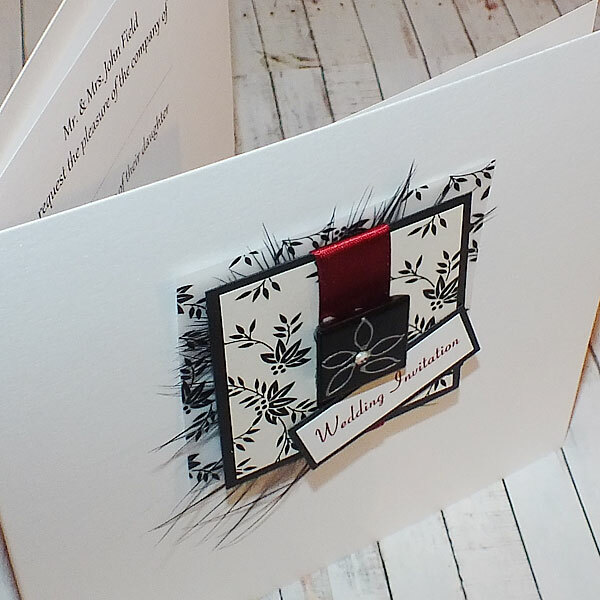 The design is created on beautiful heavyweight pearlescent card and supplied with a matching personalised insert. 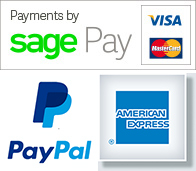 The design is available in any colour scheme and we are happy to match to a colour sample. If you let us know your colour scheme when placing an order for a sample, we will send you a swatch of the card colours available. 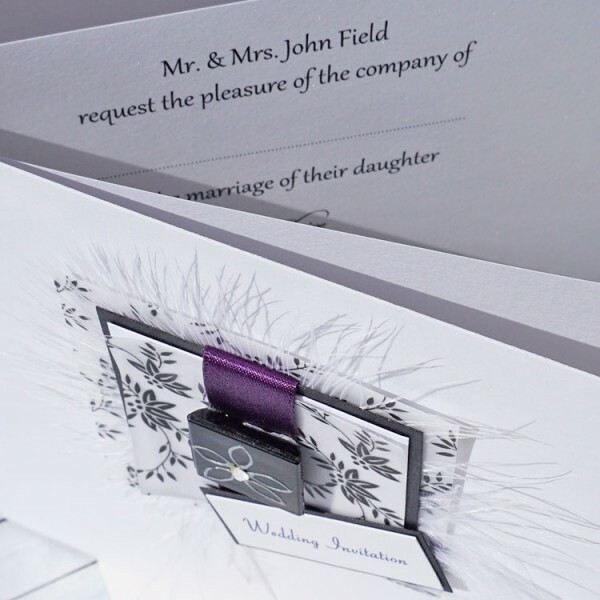 The invite is shown in a popular deep purple colour with a clear crystal, but other popular colours created for previous customers include lime green, deep burgundy red, lilac, and shades of blue and pink and the ever popular classic black and white. 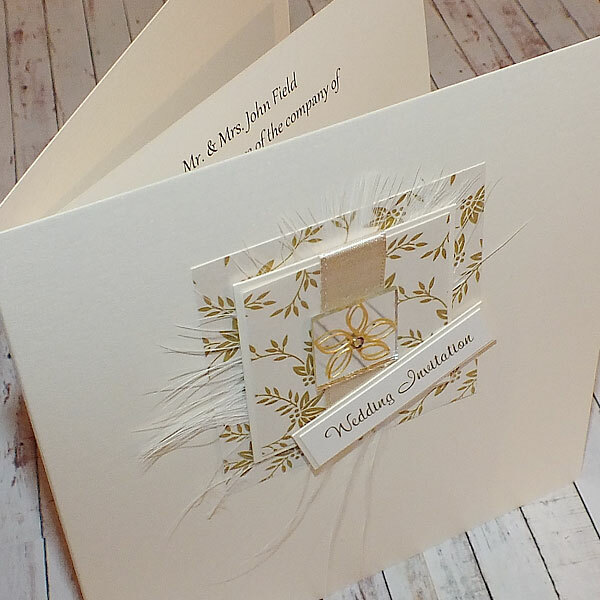 Luxury Boxed Wedding Invites - swap the envelope for a matt white or a matching pearlescent box, lined with tissue paper and wrapped with a matching satin ribbon. Perfect for small intimate weddings where you really wish to create a wow factor! 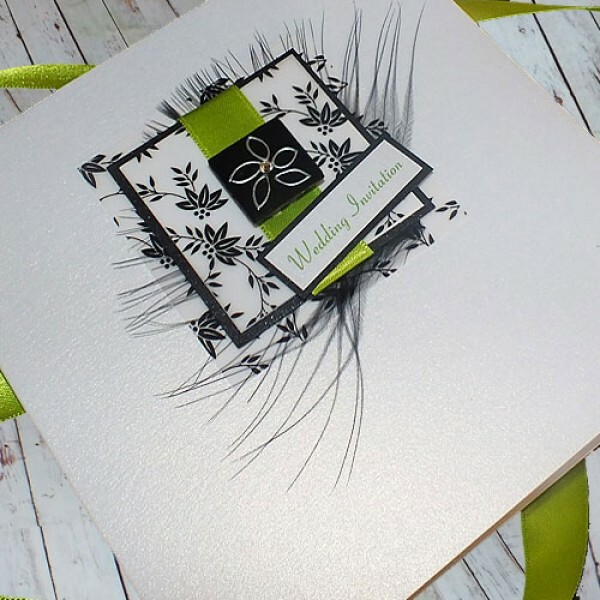 Lime Green Handmade Wedding Invitations 'Eden' - also available in a wide range of other shades o.. Pale Pink Handmade Wedding Invitations 'Eden' - also available in a wide range of other shades of..
Red Handmade Wedding Invitations 'Eden' - also available in a wide range of other shades of red a..
Blue Handmade Wedding Invitations 'Eden' - also available in a wide range of other shades of blue..